Smart Business owners always use facility management services to reduce overhead and expenditure on maintenance and upkeep of office building and working environment. 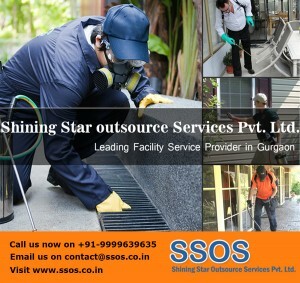 SSOS (Shining Star Outsource Services Pvt. Ltd.) is the premier and largest facility management company gurgaon that provide integrated business support services with experienced personnel and strong branch network in Delhi-NCR. A comprehensive array of services like Security, Housekeeping, Support staff, Pantry, Gardening, Plumbing, Payroll Outsource, Guesthouse management and much more offered by company for commercial and residential need at affordable charges. Aim of services is to keep premises clean, healthy, secure and maintaining hygiene standard at all the time. 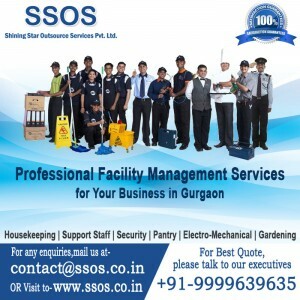 For multi-pronged approach to facility management services in gurgaonyou can contact to SSOS they are renowned facility management provider gurgaon in this sector and deliver quality work at time for clients satisfaction in order to focus on core area of business to enhance performance and productivity. 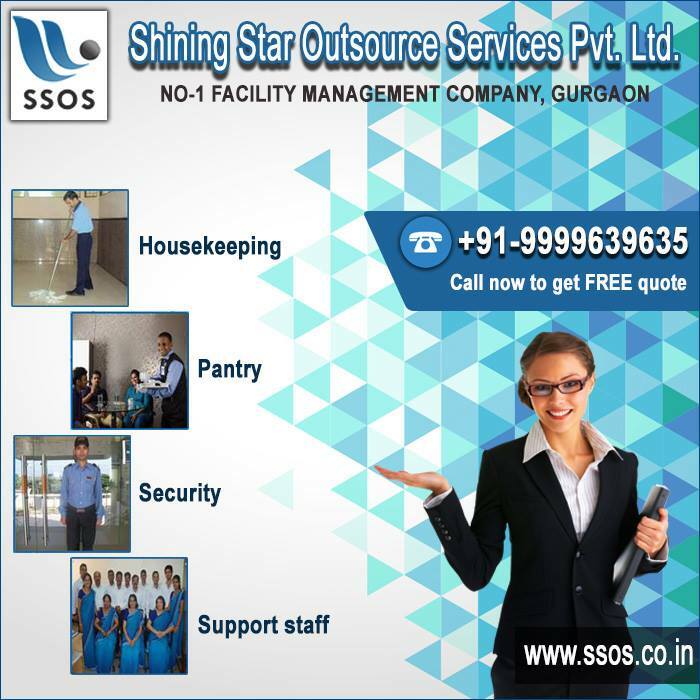 Facing problem related to Shortage of staff for noncore works like Housekeeping, Pantry, Gardening, Glass cleaning, office attendant and Security then contact to SSOS trustworthy facility management company Gurgaon providing staff members for these deeds. Fully customized shift schedule according to client’s need with online attendance and traceability facility. On spot complain rectification related to service and quality by senior supervisor. Main focus on improving safety and security of building. Our field officers regularly keep monitoring our staff and their day to day activity at client site. If there is need of any improvement in service or skill we arranged special training session to train our staff. We have 450+ talented and experienced workers they works with dedication and precisely. You leave all your burden on them they will never disappoint you. We make teams in leadership of our Senior supervisor that redress your all issues and take actions to solve them and satisfaction will be made by him. You can avail total facility management services in Gurgaon at reasonable cost. Send your query related to quotation and other via email or phone. 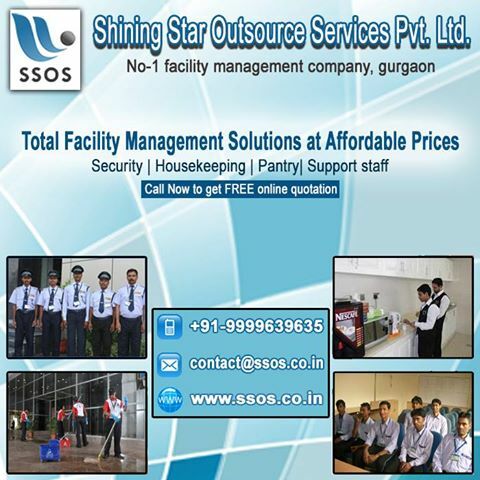 SSOS is the premier facility management company in gurgaon provides superior, hassle free and affordable commercial and industrial cleaning service. Our services are trusted by many businessmen in gurgaon. We make your premises dirt free and maintain a high level of sanitation. Our Housekeeping personnel are trained and experienced they can operate Pressure washer, Vacuum cleaner, and Floor scrubber and sweeper machines. You can take our services on weekly and monthly basis. Our staff removes the dirt, stains, spills and dust from every corner of workplace. We are the professional Housekeeping service provider gurgaon better understand all the issues and operational considerations that you will encounter from day to day. For facility management services in gurgaon our clients recommends us. We offer housekeeping services in gurgaon for Office, School & College, Shopping Mall, Bank, Hospital, Cinema, University, Hotel, Bar & Restaurant and Sports Centre. So give us opportunity to serve you and save your time and money with us. Shining Star Outsource Services Pvt. Ltd. provides facility management services in gurgaon for corporate and industrial purpose. Our Talented and experienced staff can easily manage all noncore tasks of company like Housekeeping, Security, Gardening, Pantry, Electro mechanical maintenance. We are expertise of professional payroll staff provider. We prepare team of staff members to handle janitorial and landscape maintenance according to client’s requirement. We are the key player who can save your time and money. We make you relax at work and our experience can become your benefit. For fully customized facility management services you can talk to us. Our company is working in gurgaon from last two decades and our clients are fully satisfied with our work. You can improve the reputation and efficiency of your business by getting services from us. SSOS is the Best solution for all your commercial facility management requirements. Now Get Best Service of Pest Control in your town at affordable price. Presence of Pests, Rodent & Termite such as flies, bugs, ants, roaches, and mice in premises can cause a lot of problems for you. It creates unhealthy environment around you and cause the infections and diseases. So, you must do something in order to get rid of such type of unpleasant atmosphere. Termite treatment should be done on most priorities manner as it’s destroy the thing slowly and build up their own space. 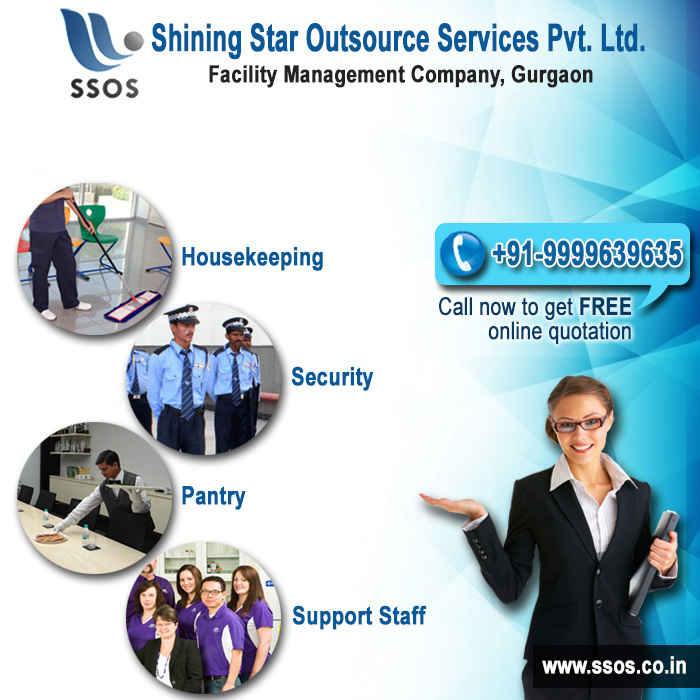 SSOS is a leading Facility Service Provider in Gurgaon. We provide you best Service of Pest Control. We have professional and trained staff. We have 150+ clients from last some years. We establish a strong relation of trust with client and give 100% satisfaction. Many Govt. as well as private sector clients are availing our Pest Control Services gurgaon from many years. Our company delivering facility management services in gurgaon from many decades. We enhance the sanitation level and prominence of you organization at nominal charges. Facility management services consist of different areas. Services like Housekeeping, Security, Gardening, Plumbing, Pantry, and Support staff etc. comes under facility management services. For a big industry multitudinous staff is required to handle these tasks and also have to appoint manager and supervisors for monitoring their work. Here complexity of management will become prime problem. To deal with this problem you can contact to SSOS (Shining Star Outsource Services Pvt. Ltd.) the No-1 facility management company gurgaon, serving from last two decades in gurgaon. SSOS has teams of professional staff to handle industrial requirements related to facility management. Every team works under surveillance of much experienced team leader that provides technical training to team time to time. SSOS provide on spot resolution for every complaint. SSOS is leading facility management provider in gurgaon that delivers their services for short and long term periods according to clients need. You can also consult to us for industrial housekeeping services gurgaon. For best tariff of facility management services in gurgaon please contact us we never disappoint our customers. Our customer care executives are waiting for your call, so Dial +91-9999639635 or log on to www.ssos.co.in for complete peace of mind.